Finding a home that is right for you is sometimes a confusing and a time-consuming process. 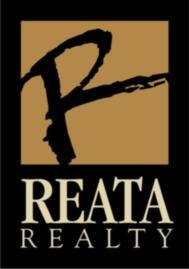 Reata Realty would like to offer the following tips when considering types of homes to purchase. These 4 types include...Single Family Home, Multifamily, Condo and Co-op. Two important considerations are, lifestyle and resale. If your lifestyle all about your outdoor kitchen and playing with your dog in a backyard then a condo is not a good choice. However if you are into the City night life or travel alot then a Downtown Condo could just be what is best for you. There are Pro's and Con's to all 4 types of homes here in Fort Worth, Texas. 1 Single Family Homes...(one home per lot). This is the most conventional form of housing here in Fort Worth. With a single family home there is in my opinion, more freedom, more privacy, more options for family activities and entertaining in your own element. The Con's for some is more maintenance, but with that being said for some, it's a big advantage. Additional charges vary beyond the mortgage such as HOA dues. In Texas, delinquency in those dues can result in a lien on your property. Always check on the details of the amount of HOA dues and the frequency they are to be paid. 2 Multifamily...Some buyers are attracted to multiple family dwellings usually a duplex where they can live in one side and rent the other for a positive cash flow. VA and FHA loans are available for these as long as the borrower occupies one unit. Being a landlord is not as easy as it seems. Buyers should do a due diligence on current rates and pit falls of being a landlord. Your Real Estate Professional is a good source of information. 4 Co-ops...There aren't very many of these here in Fort Worth but there is a new complex, MirAvanti, close to my home in mid-construction. This is a little different than the condo concept in that you acually own a share of the whole complex or building and you receive a lease to your own apartment. A board of directors supervises the management and you will pay monthly your share of the payments and maintenance of the property. I hope this sheds some light on different forms of home ownership here in Fort worth Texas.